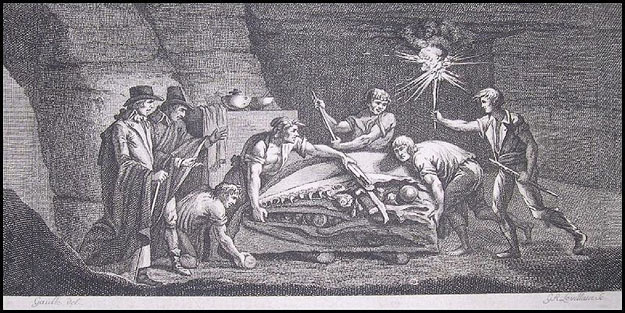 The discovery of a mosasaur in the Maastricht tunnels (1770). Engraving by G. R. Levillaire; image from Wikipedia. MAASTRICHT, THE NETHERLANDS–Next month I am giving a talk on campus about evolution in a lecture series on “science and religion”. I was particularly intrigued, then, to hear a story about the famous mosasaur discovered in the Maastricht tunnels that highlighted tension between geology and the religious establishment long before Charles Darwin started rocking boats. It was a delight to be in the very tunnels where the drama began. 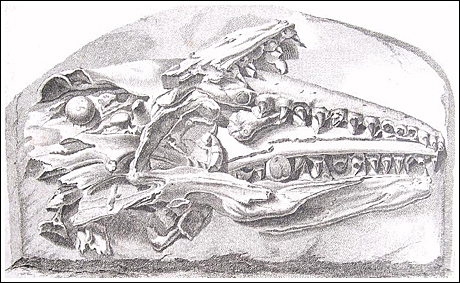 In 1770 a group of quarrymen in Maastricht discovered the skull of a very large and toothy animal. It was brought to the attention of Johann Leonard Hoffman, a local surgeon and fossil collector, who immediately knew it was very curious and would be of great interest to the savants of Europe. He corresponded with many, producing what we would call a buzz today about this creature. It clearly represented an animal which went extinct — a new concept at the time. How do you explain the existence of a large fossil like this deep underground in The Netherlands? Was it an animal which missed Noah’s Ark? Did God create some animals doomed to extinction? 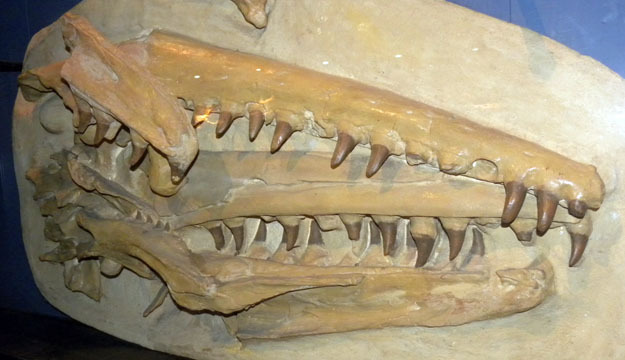 Cast of the famous Maastricht mosasaur in the Maastricht Natural History Museum. In Paris the famous geologist Georges Cuvier took an interest in “le Grand Animal de Maastricht” and correctly identified it as a reptile — specifically a kind of marine lizard (a conclusion still supported today). Cuvier used it as evidence for his catastrophic ideas of disasters followed by re-creations of life on Earth. 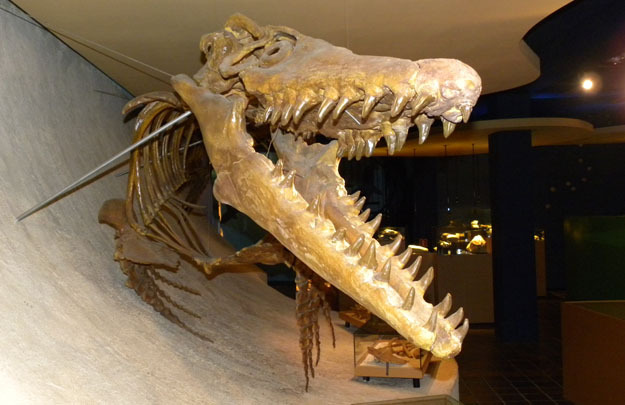 The Maastricht mosasaur, now known as Mosasaurus hoffmanni, thus was one of the first fossils to be used in the science-religion debates, and this was well before the modern theory of evolution emerged. Mosasaur skeleton reproduction in the Maastricht Museum of Natural History.